Learn about conductivity, Ohm's law and batteries while sewing some sweet circuits into your shirt, teddy bear or backpack. Also learn how to create circuits that use a LilyPad microcontroller and what you need to program your microcontroller to react to input and provide output. How do you sew electrical circuits into fabric? What is a circuit with components in series, what is a circuit with components in parallel? How do you connect a LilyPad microcontroller to your project? How do you program a LilyPad microcontroller so it reacts to input and provides output the way you want you would like? *How to use the Serial Monitor to debug, trouble shoot and display basic information. 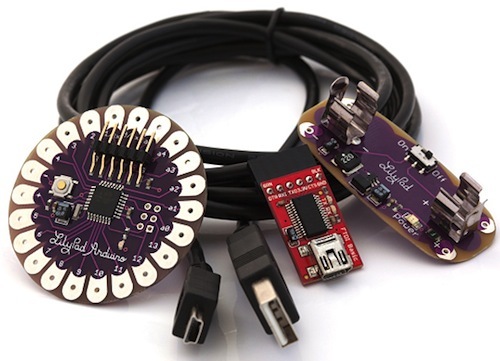 How do you make your own conductive fabric sensors?